This laptop represents fantastic value for money and offers great performance. 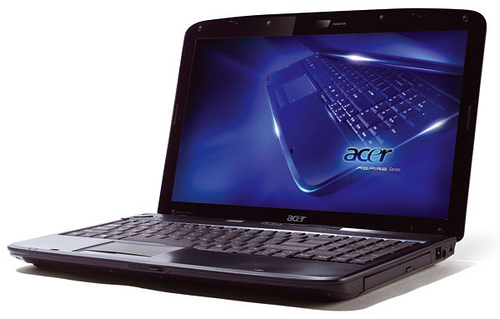 Acer has made a name for itself as the manufacturer of affordable and feature-packed laptops, and the Acer Aspire 5735-583G16Mn (£399 inc. VAT) sticks successfully to this formula. It's the only laptop in the group to feature a 16:9 aspect ratio – with a wider, 15.6-inch screen than its rivals. It's a similar panel to those found on true widescreen laptops, albeit with a lower resolution, and is ideally suited to movie playback, mirroring the widescreen layout of the latest films. With its cutting-edge design, comfortable interface and powerful performance, it's the ideal choice for business users and regular consumers alike. At this price, it’s incredibly difficult to fault the 5735. The chassis doesn’t feel like it’s built to a low cost, and nor is it a design that’s tumbled in price due to age. It just happens to be great value for money. The user interface is excellent, although the keyboard could be a little sturdier. Performance is also better than average, and this machine could easily compete with laptops costing £100 more. If you’re in the market for a budget laptop, there are few that can compete with this widescreen wonder. If you set out to find the largest laptop for the smallest price, your quarry would be Acer Aspire 5735-4624, a 15.6-inch laptop that lists for $499--and currently selling at Best Buy for $399. That price puts it in Netbook range, but the Aspire 5735 is far from a Netbook in dimensions. 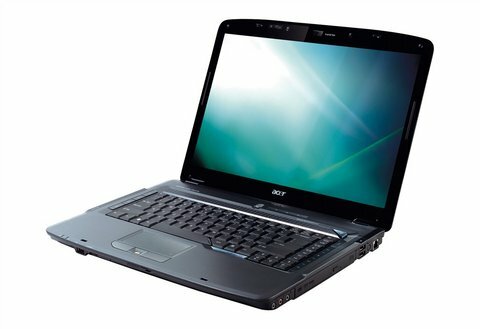 A mainstream laptop at a Netbook price, the Acer Aspire 5735 provides the basics plus a movie-friendly 16:9 aspect display. 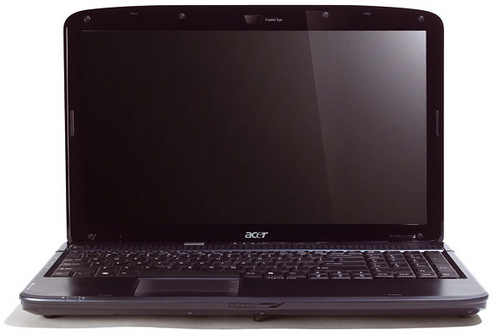 Acer's Aspire 5735 represents fantastic value, with impressive performance, components and usability. With such a strong combination of performance, usability and value for money, there's almost nothing to ﬁnd fault with the Aspire 5735-584G25Mn. Even at a higher price it would be a great bargain, so at such a low and affordable price as this, it's even easier to recommend. Intel Graphics Media Accelerator (GMA) 4500MHD: Onboard (shared Memory) GPU built in the GM45, GE45 and GS45 chipset (Montevina). Because of two more shaders and a higher core clock, much faster than the old GMA X3100. Still not advisable for gamers (DirectX 10 games not playable or only with very low settings). The integrated video processor is able to help decode HD videos (AVC/VC-2/MPEG2) , e.g., for a fluent Blu-Ray playback with slow CPUs.These graphics cards are not suited for Windows 3D games. Office and Internet surfing however is possible. T3200: Entry-level dual core processor with a slow performance due to the old Merom core and a small level 2 cache.Intel Core 2 Duo: This is the Core Duo and Core Solo successor with a longer pipeline and 5-20% more speed without more power consumption. As an addition to the Core Duo design there exists a fourth decoder, an amplified SSE-unit and an additional arithmetical logical unit (ALU).